The once outspoken Nanfang Media Group has adopted a raft of measures to align it with the Communist Party, weed out “negative” reports and ensure staff toe the official line. Some employees had already been punished for transgressions dating to 2013, according to a report this week in the Nanfang Daily News. Former editors saw the changes as the final nail in the coffin for what was once the best media outfit on the mainland and further evidence the leadership would tighten its grip on the industry nationwide. The group underwent an inspection by the Guangdong provincial discipline watchdog in April and was roundly criticised in an assessment released the following month. A reform task force was being led by the group’s party secretary Mo Gaoyi, who stepped down as deputy director of the provincial propaganda department in 2013. The measures include strengthening the group’s party membership base and stepping up editorial management, according to the report. Study sessions had been running since March and employees would be referring to instructional materials on Marxist news values. As part of the overhaul, the group’s newspapers would sharply curb “negative” coverage and run “positive and mainstream” stories. “Under the mechanism, Southern Weekly, Southern Metropolis News and 21st Century Business Herald have successfully transformed into mainstream reporting … where general social news, especially negative news has been greatly reduced,” the report said. A former editor at the News who resigned last year said the group had become a pure propaganda vehicle. “It has become a party mouthpiece inside and out where every corner has been refined,” said the editor, who declined to be named. Chang Ping, a former deputy editor at the Southern Metropolis Weekly, said the report demonstrated the confidence and complacency of propaganda officials. He predicted the crackdown on Guangdong media would be expanded into a national campaign. “From a landmark media outlet where skills and professional knowledge far exceeded all other mainland media a decade ago, [the group] has degenerated and its influence is not even comparable to new media outlets such as Caixin or Thepaper.cn,” Chang said. Journalists had succumbed to government pressure and the profession as a whole should refuse to compromise, he said. In 2013, editorial staff at Southern Weekly staged a protest over censorship of its popular New Year editorial. The stand-off sparked a rally by activists over government media controls, and grabbed international headlines. The Nanfang group again drew the national spotlight last September, when the top management at the group that publishes the widely read 21st Century Business Herald were arrested over an extortion scam. Correction: A quote was mistakenly attributed to a company statement instead of a report in the Nanfang Daily News. 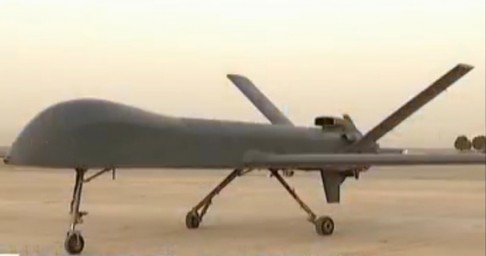 The radar enables the drone to identify terrorists hiding in a bush or building and attack them. 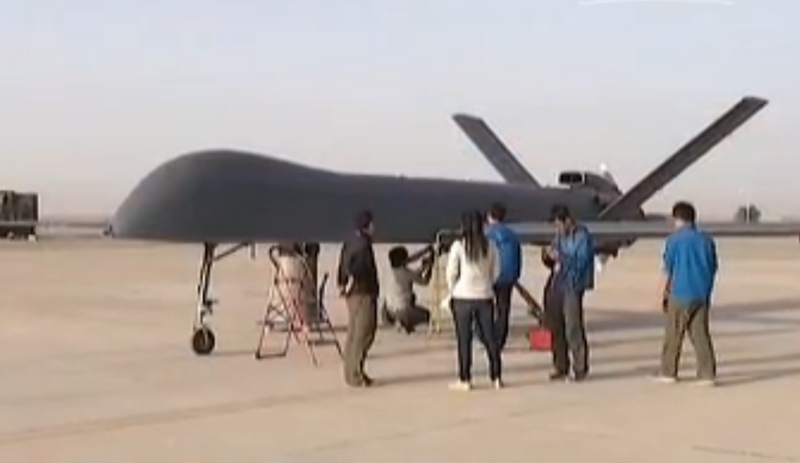 According China’s Oriental Satellite TV’s footage in Chinese that displayed by SCMP in the report, CH-5 is a medium- and low-altitude long-duration drone with a takeoff weight of 3 tons, wingspan of 20 meters and ability to remain in air for 30 hours. 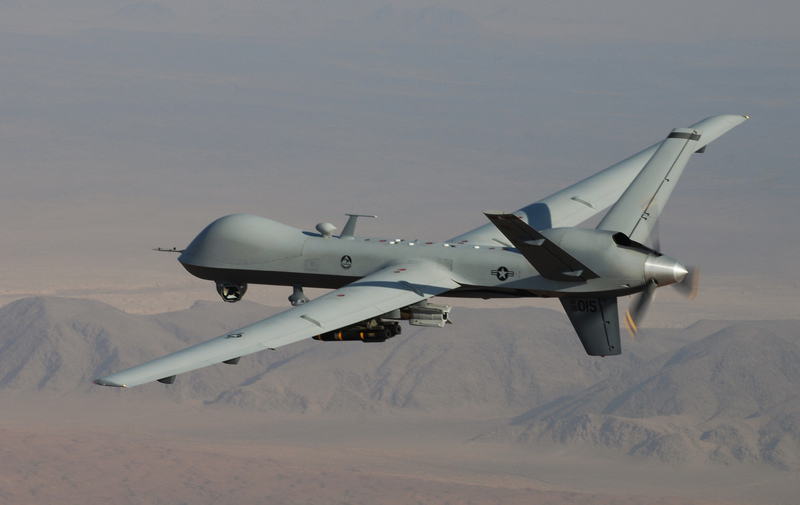 Only the largest US Predator drone is comparable to CH-5 in size, weight and flight duration. CH-5 is entirely made of synthetic materials and able to carry 900 kg load. SCMP says the drone can carry 6 missiles. China’s official military media mil.huanqiu.com describes in its report what advanced weapons China will showoff in its victory day parade on September 3, especially China’s high-, medium- and low-altitude missile defense systems. 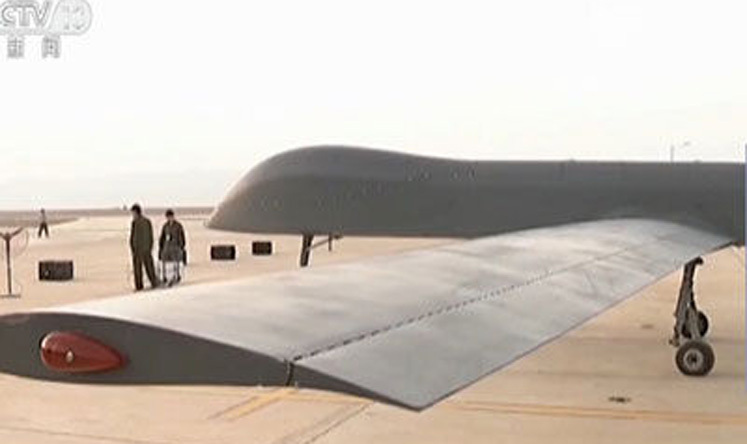 The system to be displayed for the first time will be China’s homegrown low-altitude combined missile and artillery low-altitude air defense system. The system combines the advantages of the high accuracy of missiles and the quick firing of the anti-aircraft cannons that can shoot several thousands shells within one minute to effectively intercept low-altitude fast targets within their short range. 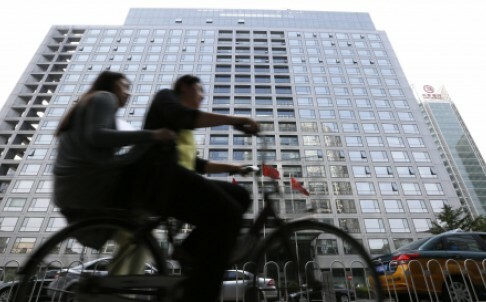 China’s largest banks warned of a tough year after posting their weakest half-yearly profit growth in at least six years as a slowing economy forces the lenders to make even more provisions for soured loans and squeezes interest income. State-owned Industrial and Commercial Bank of China (ICBC) (1398.HK), China’s largest bank by assets, and peers Bank of China (BOC) (601988.SS), Agricultural Bank of China (601288.SS) and Bank of Communications (601328.SS) this week reported another spike in bad loans in the first half and net profits that grew at most by 1.5 percent, a far cry from the double- digit growth banks enjoyed after the 2008 financial crisis. 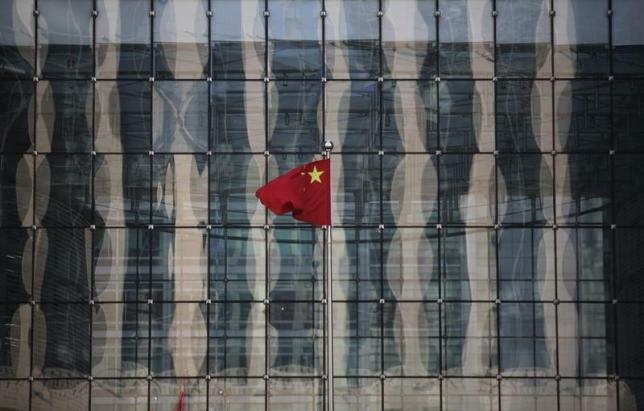 With China’s economy set to grow at its weakest pace in a quarter of a century this year, the lenders said they were bracing themselves for even more bad loans as industries ranging from steel to petrochemicals and property struggle. “We will continue to face pressure from non-performing loans for a period of time,” ICBC President Yi Huiman said. The bank, also the world’s largest bank by assets, increased provisions for troubled loans by 74 percent from a year ago in the first half. In addition to increasing bad loans, China’s slowing economy raises the likelihood of more interest rate cuts, which would further pressure the banks’ net interest margins (NIM), the spread between the lending and borrowing rates that banks earn. BOC, the country’s fourth-biggest lender, said on Friday it faces margin pressure in the second half of the year from interest rate liberalization. The People’s Bank of China has cut interest rates five times since November, and in the first-half all the banks reported lower NIMs. Recent economic indicators show that even the Chinese growth target of about 7 percent may be at risk. Turbulence in China’s stock markets and the recent devaluation of the yuan may also end up pushing more manufacturers, construction firms and retailers into delaying or defaulting on loan repayments. One bright spot for the banks this year has been their fee-generating businesses, but the volatility in the stock market rout is set to curb income from these services too. “Given the tough pressures of the downturn, the banking industry will face an austere operating environment,” BOC said in its earnings statement. China Construction Bank (601939.SS) (0939.HK), the nation’s second-biggest, will announce its interim results on Sunday. I said in my post “Do Not Fight against Rich and Powerful Government in Stock Market 2” yesterday that the Chinese government “can punish short sellers. Chinese law enables the government to imprison short selling speculators for the crime of disrupting the market. As for foreign investors, there are rules to restrict their sales of shares. China can tighten the rules while the speculators can do nothing but crying foul. True enough Hong Kong’s SCMP describes the government’s moves in that respect in its report today. Article by Chan Kai Yee as comments on SCMP’s report. The investigation “started quietly weeks ago” but its high-profile, late-night announcement took many by surprise, with some seeing it as a drastic response by Beijing to the “Black Monday” market rout that sent mainland shares to eight-month lows. Xinhua announced on Tuesday night that eight people – including a top executive of a major mainland securities firm, an employee of a well-known media group as well as a serving and a former official of the national market regulator – had been taken away for questioning over alleged market malpractice. Sources familiar with the case told the South China Morning Post on Wednesday that police had been making informal inquiries “for weeks” and the case was not directly linked to the market turbulence. But they said it did reflect the leadership’s determination to weed out rampant irregularities in the financial market. “The investigation is not only about the current market correction. It was triggered by something bigger. It is more complicated than people think,” a former senior official with the China Securities Regulatory Commission (CSRC) told the Post. 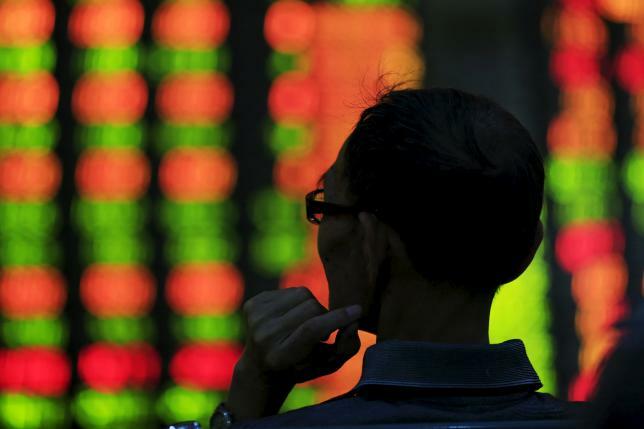 The assessment came as Xinhua issued a commentary calling for greater efforts to “purify” the capital markets. It said more people would be implicated as the investigation went deeper. 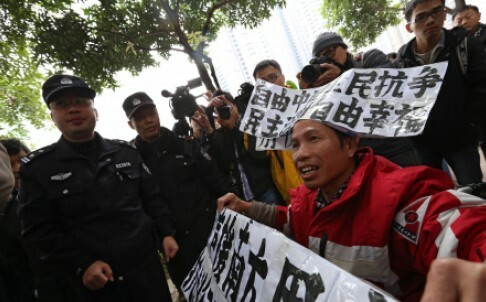 The Xinhua commentary, posted on the central government’s website, vowed the police would “get to the bottom of things” and punish those caught in breach of market regulations. Xinhua did not name the eight people but mainland media yesterday reported that Xu Gang, managing director of one of China’s biggest securities firms Citic Securities; Ouyang Jiansheng, a former CSRC department director in charge of market supervision; Liu Shufan, a CSRC division head; and Caijing magazine reporter Wang Xiaolu were among them. Caijing issued a statement confirming that Wang Xiaolu was taken away by police on Tuesday for questioning, but said it had not been told of the reasons for the probe. Citic Securities also said it had not been told about the nature of the investigation. But a source at the magazine said it could be linked to an article by Wang published on July 20 – soon after the government unleashed hundreds of billions of yuan to bail out the beleaguered market. In that article, Wang claimed the CSRC – a key part of the massive bailout – was preparing an exit plan. The regulator immediately denied the story. The source said the magazine was under huge pressure to rectify its reporting practices after it published the article. Mainland markets have been on a roller-coaster ride since mid-June and government efforts to intervene have had little success. The A-share market has fallen more than 22 per cent in the past five days. A team of investigators led by the Ministry of Public Security was sent to the CSRC’s office on July 9 to uncover “malicious short-selling” that the government blamed for the turmoil. Separately, four other securities firms also announced on Tuesday night that they were being investigated by the regulator. Haitong Securities, GF Securities, Huatai Securities and Founder Securities all said they had been notified by the regulator about the probe.